Subscribe for our FREE Email Newsletter Now! With this theme, “ISHWAR” came into existence. 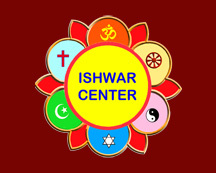 The very word ISHWAR means God. 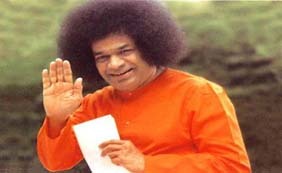 PURPOSE: The purpose of forming this organization is to establish the wisdom of the Vedic Sciences and help people through the ancient holy sciences like Yoga, Meditation, Ayurveda, Mantras, Spiritual discourses and practices, Jyotisham (Vedic Astrology) and to give people a spiritual understanding of their Karmas. HISTORY: ISHWAR was registered in India in 1998, as a non-profit organization under section 80(G) of the income tax act, and then in June 2003, ISHWAR USA Inc was registered in the USA and was granted the status of a non-profit organization under section 501(C) (3) of the IRS. HOW WE WORK: It is very important to understand the spiritual concept of Karma and destiny. The law of Karma of cause and effect influence our lives in various ways. The divine science of Jyotisham (Vedic Astrology) gives us insights and answers to most of the situations around our lives, and also certain solutions to overcome our challenges. OUR AIM: Our aim is to do work for the benefit of mankind for social, humanitarian and spiritual cause and help the distressed and unfortunate people all over the world. Each human being should develop love, compassion, tolerance, forgiveness and evolve out of our materialistic tendencies and connect to a higher consciousness. The Cosmos is full of mysteries. The planets and the stars hold much power over our destinies. The human life is somehow linked with the Astral world. Our success, challenges of life, health, wealth, family, relationships, our joys and sorrows are interwoven in the womb of time and space. Research and study has proved that there is a definite predetermination of our destinies. Life after life we create Karmas and subsequently sow the seeds for our future lives. Our present life is therefore a reflection and reaction of our previous birth karmic patterns. Human life is merely a projection, a concentrated spectrum of light, which is the light of God. This light first descends to the Causal body, then the subtle body and finally the gross body. The gross body is subject to all kinds of planetary energies and influences. The ancient Hindu saints knew these secrets and wrote down many scriptures such as the Vedas, Puranas, Upanishads and many other divine sciences like Astrology, Yoga, and Ayurveda. The sages also mentioned that certain Talismans, Yantras, Mantras, Herbs and Astral Gemstones have amazing healing powers and prescribed them since those ancient times to overcome the problems and difficulties in life.